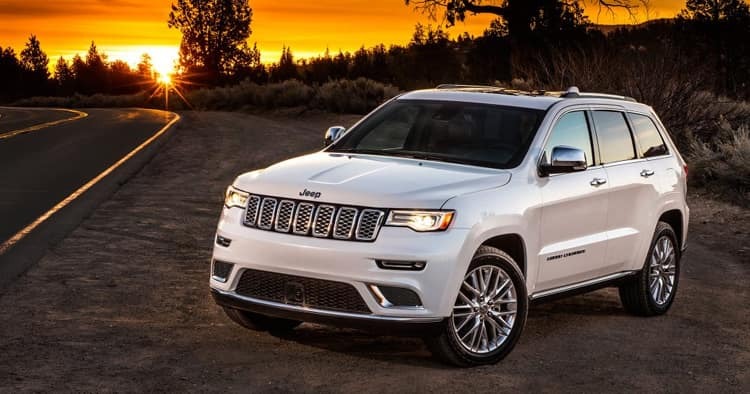 The 2018 Jeep Grand Cherokee brings an impressive line-up of 17 trims/models. Take your next drive in an SUV that carries the Trail Rated® Tough badge. 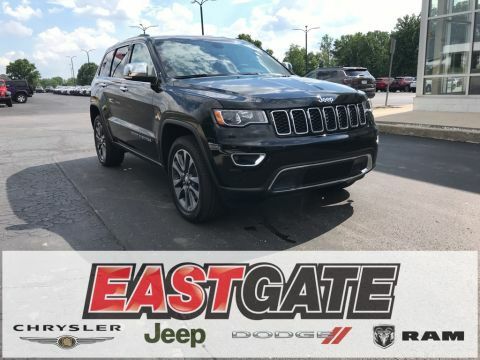 Multiple trim choices are sure to please new and returning Jeep enthusiasts. The 3.6-liter engine category includes the Laredo (4×2), Altitude (4×2), Limited (4×2), Overland (4×2), Summit (4×2), Sterling Edition (4×2), and the High Altitude (4×2). Each of the above features an automatic transmission with overdrive and gas mileage of 19 city and 26 on the highway. The Laredo (4×4) and Altitude (4×4) are also equipped with a 3.6L engine with automatic transmission/overdrive and 18/25 mpg. 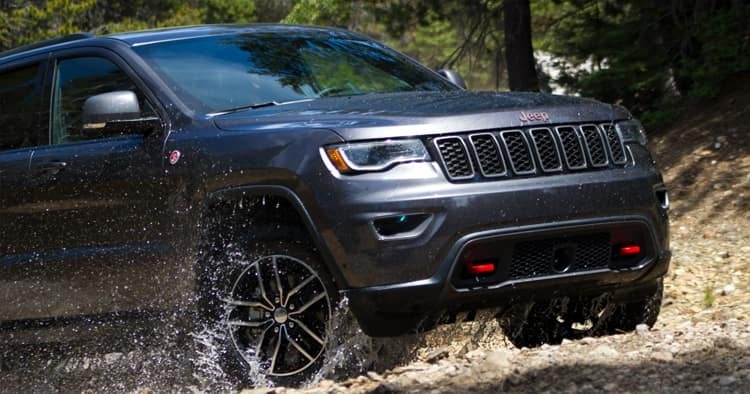 In the 5.7-liter category, the selections include the Limited (4×4), Trailhawk (4×4), Overland (4×4), Summit (4×4), Sterling Edition (4×4), and the High Altitude (4×4). Each of the above comes with an automatic transmission, overdrive, and 14/22 mpg. The SRT (4×4) features a powerful 6.4-liter engine, automatic/overdrive transmission, and 13/19 mpg. 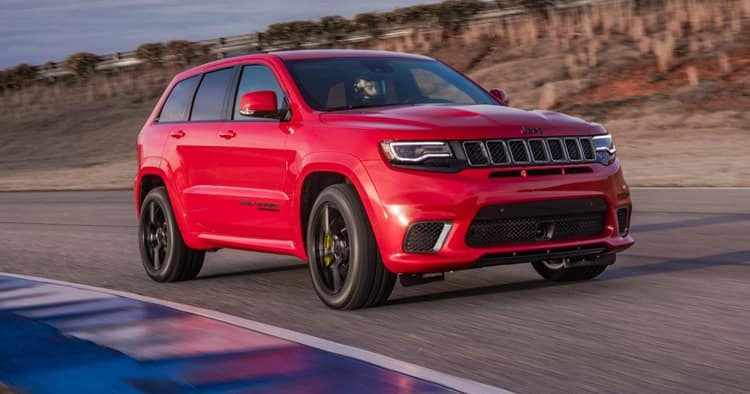 The Trackhawk (4×4) has a 6.2-liter engine, automatic/overdrive transmission, and 11/17 mpg. Available exterior features, depending on model, include power heated side mirrors, deep-tinted glass, body-colored grille with chrome accents, perimeter and approach lights, chrome door handles and exterior mirrors, forged or silver aluminum wheels, single or dual stainless-steel exhaust, and front and rear roll bars. 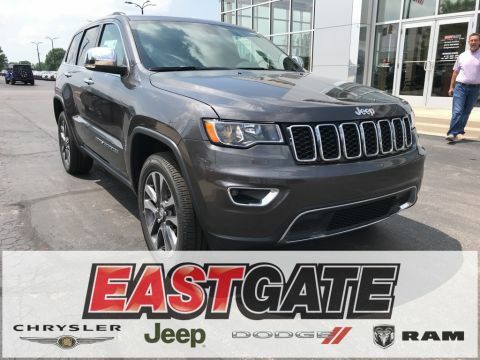 Powerful engines with eight-speed transmissions keep the Grand Cherokee running smoothly. Engine sizes available include the 6.4L V-8 SRT Hemi®, 6.2L Supercharged Hemi® V-8, 5.7L Hemi® V-8, and the 3.6L Pentastar® V-6. 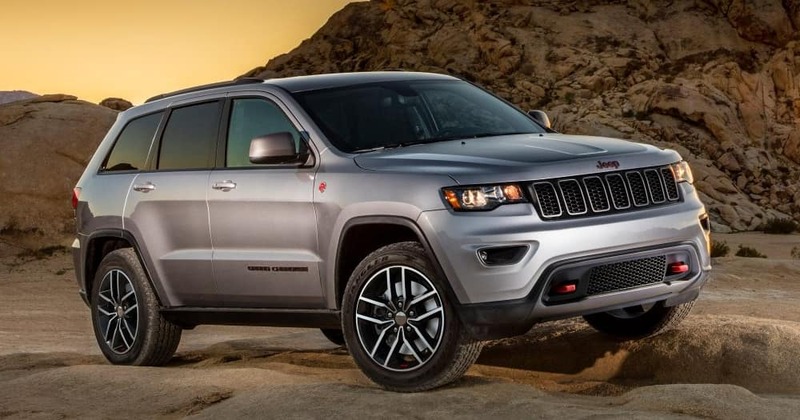 For towing power, the Grand Cherokee engines can carry the load. The 3.6-liter Pentastar® has 260 pound-feet of torque with towing power of 6,200 pounds. The 5.7L Hemi® has 390 pound-feet of torque and a 7,400-pound towing capability. The supercharged 6.2-liter Hemi® and the 6.4-liter SRT Hemi® can handle 7,200 pounds. The 6.4-liter has 470 pound-feet of torque and the 6.2-liter has 645 pound-feet of torque. 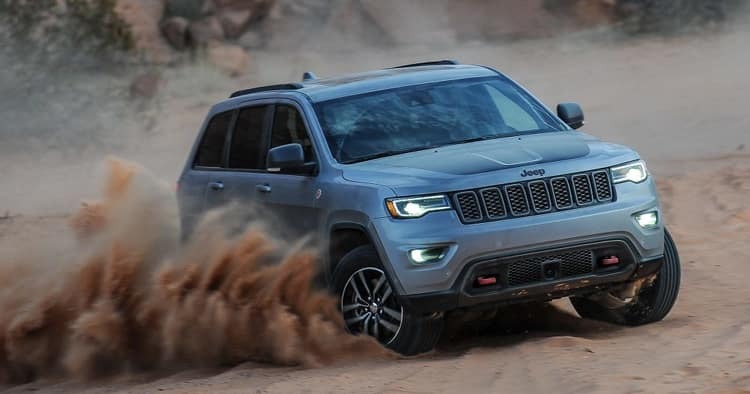 The Grand Cherokee can navigate all modes of travel with its Quadra-Lift® Air Suspension option, which allows the driver to raise or lower the ground clearance distance up to 10.8 inches. The settings can be adjusted for off-road I, off-road II, aero, normal, and park. The Selec-Terrain® Traction Management System also allows adjustable settings to enhance the SUVs traction performance in all-terrain situations including rock, mud, auto, snow, or sand. 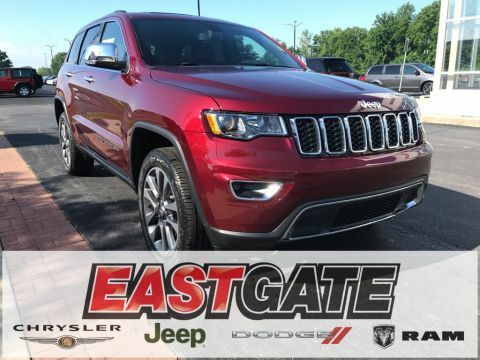 The Grand Cherokee is comfort and convenience personified with a variety of available features such as Google Android Auto, mobile hotspot internet access, voice recorder, heated steering wheel, 12-way power passenger and driver seat, and cloth, or leather-trimmed seats. Available entertainment systems include Uconnect 4 with 7-inch display or Uconnect with 4C Nav and an 8.4-inch display; integrated voice command with Bluetooth; two LCD monitors positioned in the front; 6, 9, 10, or 19 speakers; SiriusXM Travel Plus; SiriusXM Traffic Real-Time Display; wireless streaming; Apple CarPlay; and steering-wheel-mounted audio controls. 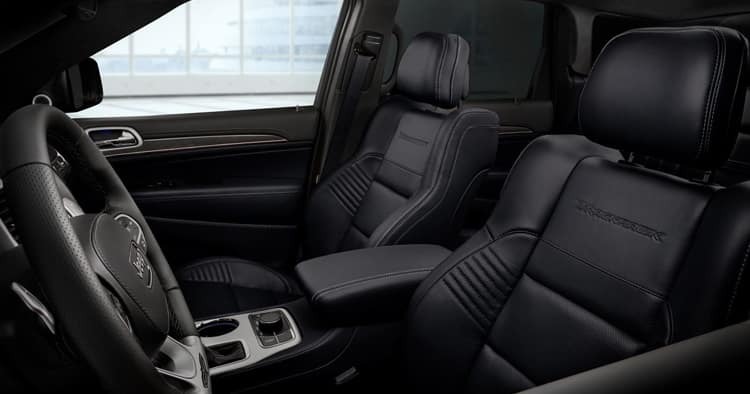 The Grand Cherokee has dual-stage seat-mounted side air bags and front air bags for the driver and passenger, airbag curtains for the first and second rows, driver knee air bag, and an air bag occupancy sensor. The front is also equipped with lap and shoulder safety belts. 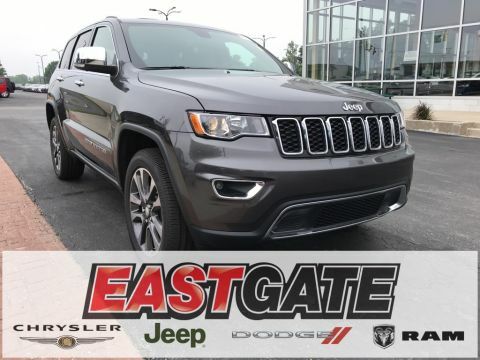 When driving, the Grand Cherokee has sensors and warning systems such as the Lane Departure Warning, Lane Keep Assist, automatic parking sensors, blind spot sensor, SiriusXM Guardian Emergency S.O.S, ParkSense Rear Parking Sensors, ParkView Back Up Camera, and Low Tire Pressure Warning sensor. The SUV also has child safety locks in the rear. 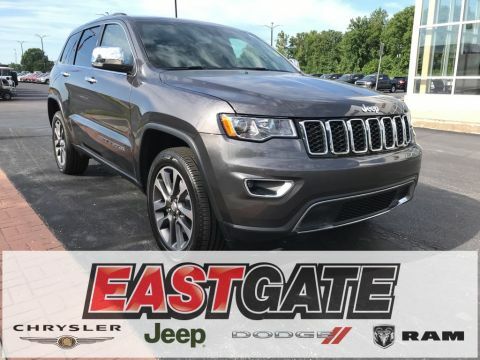 Get behind the wheel of the 2018 Jeep Grand Cherokee and schedule a test drive today!